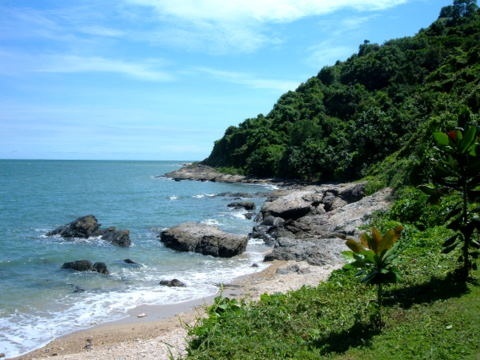 This month we depart from wars and military campaigns to take a break in Rayong, a coastal province on the eastern seaboard. 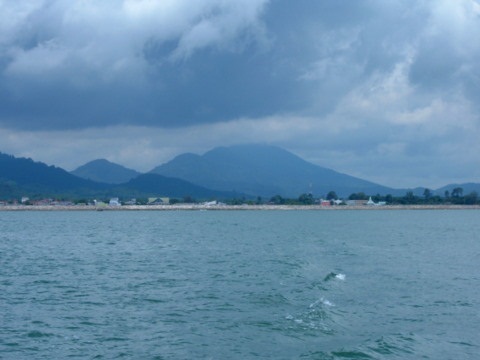 Rayong, in the Gulf of Thailand, is about 180 km south-east of Bangkok. 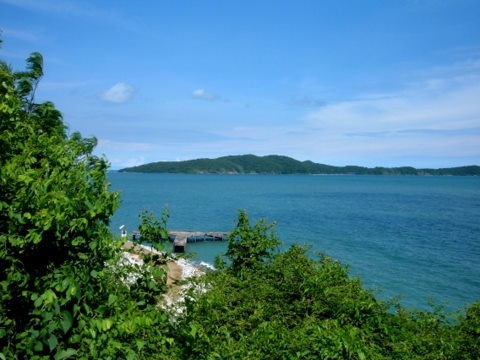 It’s famous for its beautiful beaches, the island resort of Ko Samet and two prominent personalities in Thai history. 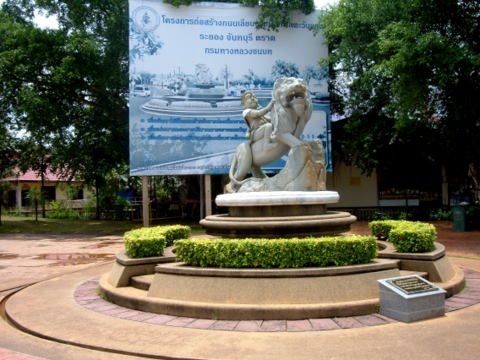 Shortly after the fall of Ayutthaya on 7 April 1767, a group of tired horsemen rode into Rayong. They had escaped from Ayutthaya just before the fall and were on the way to Chantaburi. Their leader, a man called Sin and the former Governor of Tak, was the son of a Chinese trader. He was known as Phraya Tak or Taksin. It was no coincidence that Phraya Taksin chose to come through this area. 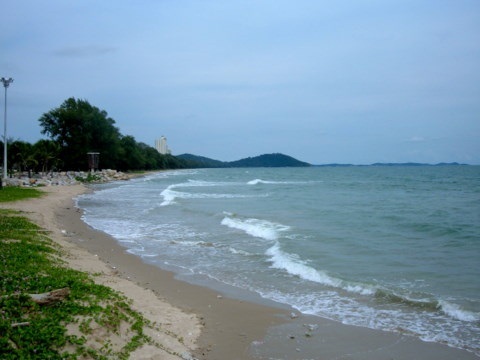 The villagers in these coastal provinces of Chonburi, Rayong and Chantaburi were ethnic Chinese, descendants of the early immigrants who preferred to live by the coast. They were also Teo Chew, a dialect group from southern China and the largest Chinese dialect group in Thailand. 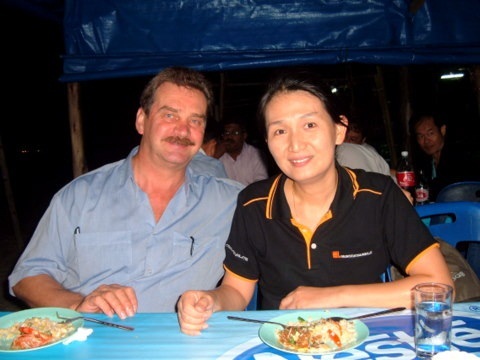 So was Phraya Taksin’s father. From these bonds of kinship, Phraya Taksin got his support. The Chinese community provided the funds and supplies for Phraya Taksin’s army to set up his new capital in Thonburi in October 1767 as King Taksin. From there he was able to quell the fractious city kingdoms, drive out the Burmese out of Siam and bring Chiang Mai, Cambodia, Lao and Malay principalities into the Siamese kingdom. 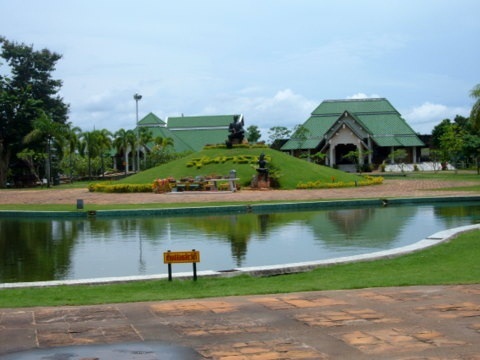 But it wasn’t until the 20th century that Rayong built a monument for King Taksin. In the early 1930s, a local resident had a dream that the king needed a house. So the shrine was built in 1934 on the grounds of Wat Loom Mahachai Choompol and consecrated on Chinese New Year’s day. Since then annual ceremonies have been held on this day. 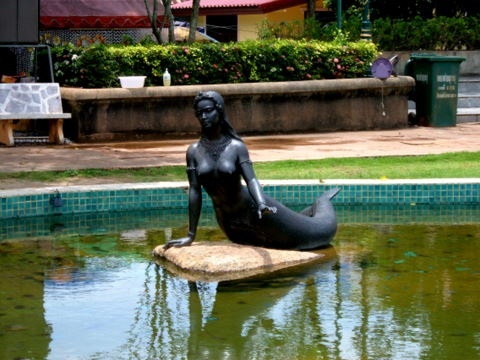 In 1956 the statue in the shrine was replaced with the current one. 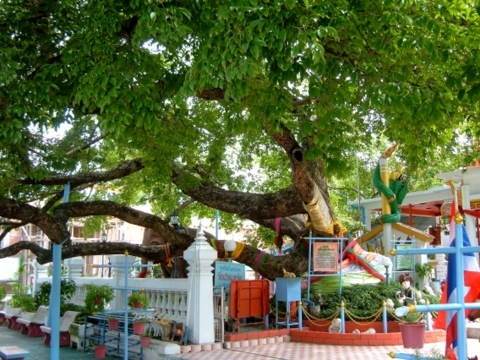 Legend has it that when Phraya Taksin passed through, he stood under this tree, Crudia Chrysantha. That makes the tree more than 243 years old! The Khao Laem Ya - Mu Ko Samet National Park has an area of 131 sq km which includes the Khao Laem Ya headland, an 11 km stretch of beach, Hat Mae Rum Pheung on the mainland and the Samet archipelago of eight islands. 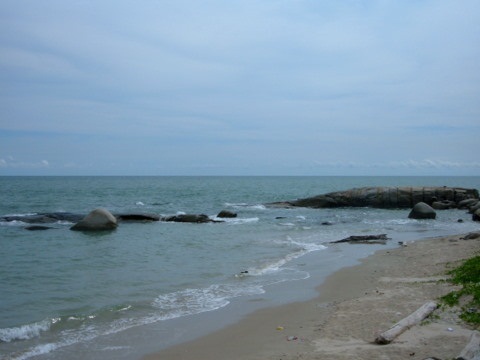 The unique feature of this national park is that it covers an area on the mainland, a group of islands 6 km away and the vast expanse of sea in between. More than 90% of this national park consists of sea, corals and marine life. Khao Laem Ya is a green mountainous cape at the eastern edge of Hat Mae Rum Pheung. It’s not that large as Khao Yai National Park and you can still explore it on foot. 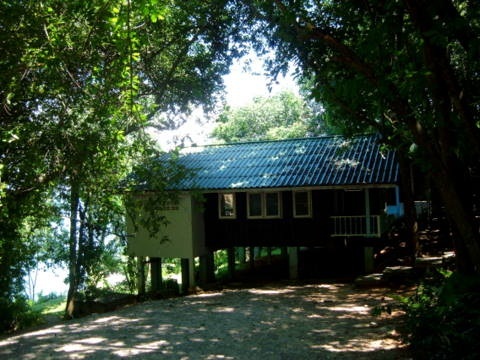 There are tents and bungalows for rent, just enquire at the park office. The peaceful and scenic atmosphere in the lush greenery within the park is sheer bliss after the helter-skelter city life in Bangkok. 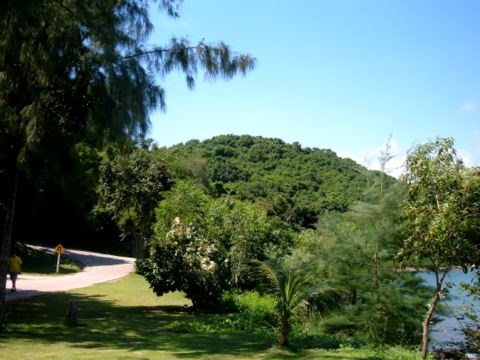 There’s also a nature trail round the part of the park facing Ko Samet. I was lucky; this national park was just behind where I stayed. The entrance fee is 40 baht per head. 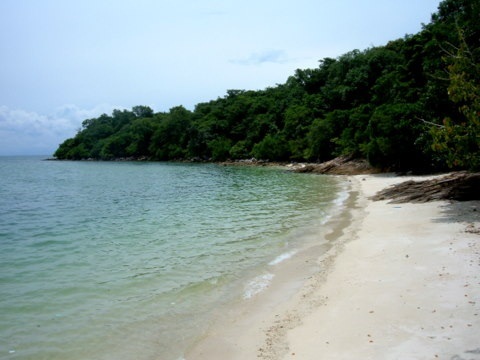 The side of the national park on Ko Samet which can be reached by a 30 minute boat ride from Ban Phe. The boat ride gave me a chance to view the coasts of Rayong and Ko Samet as I traversed the marine sector of the national park. On landing at the pier, I encountered a familiar scene on tourist islands; restaurants, internet, telephone and fax services, tours, provisions shops and motor bikes for hire. Ko Samet is quite a big island and you will need a motor-cycle to get around. Somehow I found Ko Samet a little too touristy and still preferred the solitude and serenity of Khao Laem Ya. 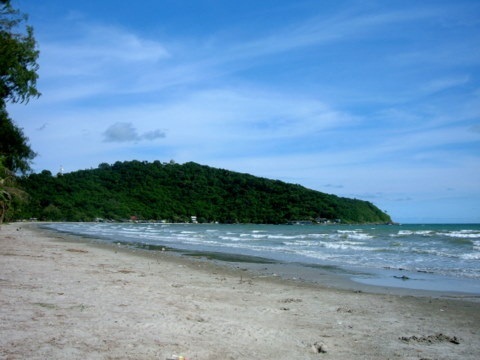 Hat Mae Rum Phueng (hat – beach) is about 11 km of beach to the south of Rayong city and it’s part of the national park. A coastal road runs past this beach where all the hotels, guest houses and beach vendors are. 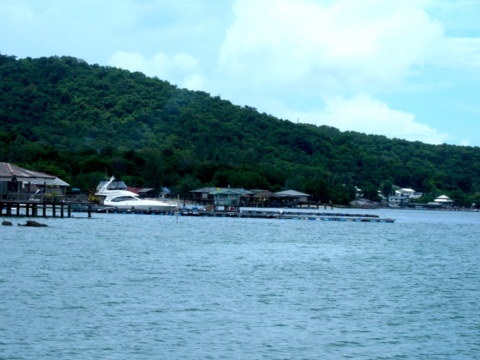 The road runs turns to a place called Kon Ao (base of the bay) where the Khao Laem Ya National Park is located. This was where I stayed during the trip. 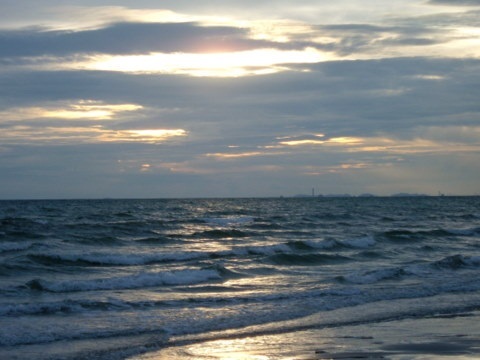 Though I was born and bred on an island, as a Bangkok resident I rarely get to see the sea. So it was a joy to walk along the deserted beach, something I haven’t done for a long time. As it was low season in September, I was the only one there most of the time except for the occasional local residents. All the beach vendors were closed around Khao Laem Ya except one. That was enough. I had a beer under the makeshift shelter as I watched the waves roll in continuously with Khao Laem Ya, the green mountain cape that gave this place its name, in the distance. I haven’t seen the sea for years and never felt so relaxed for a long time. There’s more activity further down the road nearer town. But if you prefer peace and quiet, stick to the side nearer Khao Laem Ya. 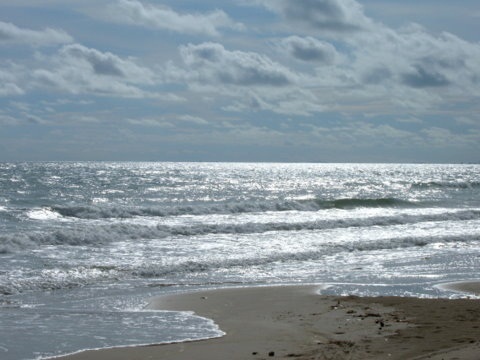 Just sit by the beach and watch wave after wave of foam rippling on the shore. 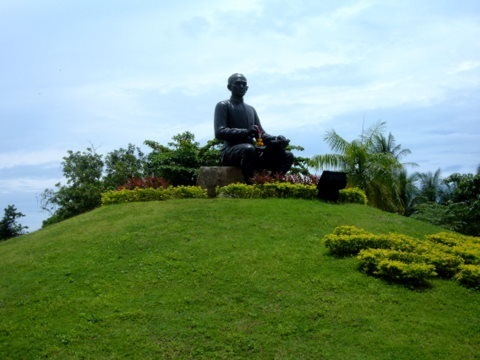 About 50 km from Rayong city, in Ban Kram, Klaeng district stands a park and monument in honour of one of Thailand’s greatest poet, Sunthorn Phu (1786 – 1855). 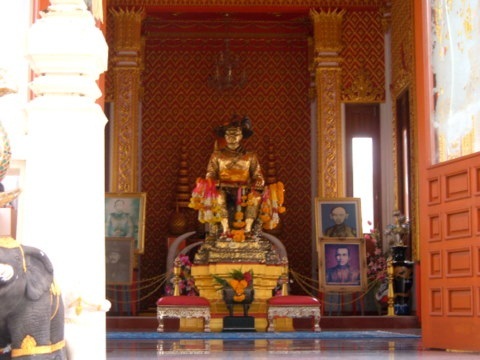 Sunthorn Phu was born on 26 June 1786 in Bangkok, in the reign of King Rama I (1782 – 1809). His father was a native of Ban Kram. His parents separated shortly after his birth. Later his mother remarried and became a wet nurse in the palace. Sunthorn Phu studied at Wat Sri Sudaram in Bangkok Noi and soon proved to be a literary prodigy. But his teenage romance with a lady of the palace and his love for alcohol landed him in jail a couple of times. This turned out to be a blessing in disguise. 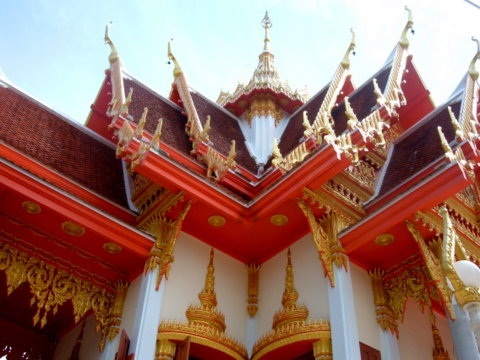 It was during his second jail term that inspired his brilliant work, Phra Aphai Mani, which took 20 years to complete. It was a tale of an amorous prince with his magic flute, his adventures on the high seas and his many loves. The story takes us in encounters with Brahmins and hermits, ship-wrecked sailors on remote islands, a sea horse with a dragon tail and ferocious lions, pirates, tales of wars with foreign kingdoms over lost love. During his tumultuous career spanning four reigns, Sunthorn Phu fell in and out of favour of kings and princes. But in the reign of King Rama IV (1851 – 1868), he was finally appointed Poet Laureate and bestowed the title Phra Sunthorn Voharn. In 1986 on the bicentennial of Sunthorn Phu’s birth, UNESCO honoured him as a World Poet. 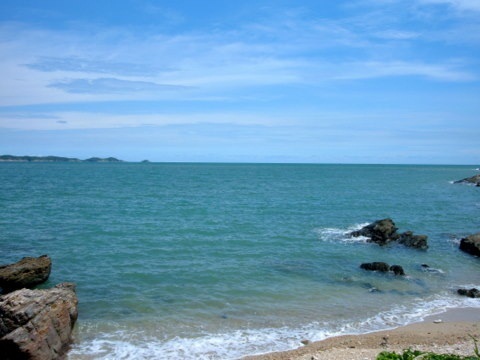 On looking at the rocky beaches and emerald islands off Rayong, one can imagine what must have inspired the great poet to pen the adventures of Phra Aphai Mani across these blue seas in search of his princess, even if it was a spell in a Bangkok jail that sparked the inspiration. Like alcohol for some, Nature can also be a wonderful stimulus for writers. But we are also intoxicated by love. I cannot resist my heart. And that drunkenness will have passed. But when night falls, the intoxication of love will return." Here’s a fast way to get there. Take a skytrain to the Victory Monument. Once there locate the parking area of the vans around outer perimeter of the roundabout. Find the desk where tickets to Rayong are sold. The fare is 160 baht and the two and a half hour trip takes you to the city centre. There’s also a tour bus service between Ekamai, the eastern bus station in Bangkok and Ban Phe in Rayong. I took this service to get back to Bangkok. The journey took three and a half hours because of a longer route and several stops to pick up and drop off passengers. The traffic in Sukhumvit Road on the way in to Ekamai is also terrible. The fare is 157 baht. Tell the Bangkok van driver you want to drop off at the song taeow (pick-ups) queue. 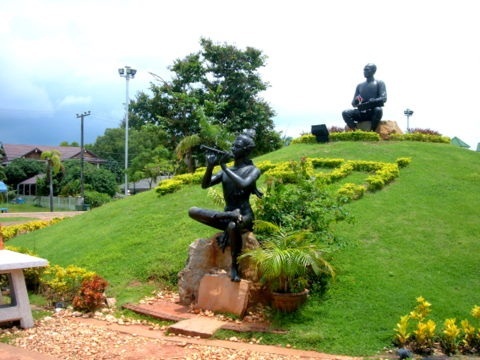 There are several song taeow services in Rayong. Ask for the one that goes to Mae Rum Pheung Beach and Khao Laem Ya. It’s a blue pick-up. The fare is 25 baht for the entire route and the trip takes about 15 minutes. However these song taeow don’t go everywhere. Motor cycle taxis are another popular form of transport. If you are going to a place where there is no public transport, negotiate with the guy to wait for you on the return trip. Otherwise you’ll have a problem getting back. There are motor cycle taxis in Rayong city and Ban Phe. Go to Ban Phe and buy a ticket from at Tha Ruea Phe (Phe Pier) from the information counter at the entrance. The fare is 100 baht return. It’s a public passenger and goods boat that leaves at regular intervals You’ll be travelling with the resupplies for the island, most of which are liquid. Keep the return stub. It’s valid for all boats plying between Ko Samet and Phe Pier. Don’t go to the boat tour service shops as they charge 200 baht. Of course, avoid the touts offering services. Panita and Rudi, thank you for your hospitality and for that lovely seafood dinner. It was nice to see you again.